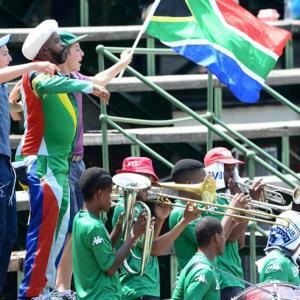 Rediff – Cricket South Africa have announced their home schedule for the 2018/19 season that will see tours by Pakistan, Sri Lanka and Zimbabwe, with the focus on One-Day Internationals ahead of the World Cup next year. Pakistan will feature in the marquee Boxing Day and New Year Tests as they tour South Africa for the first time since 2013. There will be a just a week’s break before the end of Pakistan’s tour and the arrival of Sri Lanka for Tests in Durban (Feb.
South Africa’s summer will get underway with a limited overs tour by Zimbabwe that will include three ODIs and three Twenty20 fixtures between Sept.
South Africa are ranked second in the world in Tests and ODIs, but only sixth in Twenty20 internationals.